Slovenia tourism has taken off and grown a lot recently with the launch of Easyjet with very cheap prices and Wizz Air flights from Western Europe to Ljubljana. The Slovenian national airline Adria Airways has nonstop flights between Ljubljana Brnik Airport (LJU) and virtually every major city in Europe, as well as Tel-Aviv in Israel. In Slovenia there is a departure tax for passengers who leave by plane from Slovenia, which usually included in the ticket price. Slovenia buses travel between Slovenia and Italy daily, using Nova Gorica in Slovenia as the easiest way out and point of entry of Slovenia. Koper, Slovenia’s a beautiful city also has good bus connections with Italy: about 17 buses per day going from Slovenia to Trieste and return to Slovenia, Trieste is a city of Italy which is located 21km (13mi) northeast of Slovenia. It is also easy to travel by bus to and from Hungary, Croatia, Austria and Serbia-Montenegro. The main train routes into Slovenia come from Salzburg (four to five hours away), Trieste (three hours), Vienna (six hours) and Zagreb (two to three hours). Trains between Amsterdam and Ljubljana take 18 hours to arrive in Slovenia. In Slovenia there are dozens of international border crossings to enter Slovenia. You can enter Slovenia by car, motorcycle, bicycle, or even on foot. Weekends between mid-April and mid October is possible to navigate between Venice and Izola (one of the coastal towns in the Adriatic from Slovenia) catamaran. Except for long journeys, the bus is the preferred way to get around Slovenia. In Slovenia there are frequent departures of buses and the network makes the journey as if it were an octopus and manages to reach destinations throughout the country of Slovenia. In Slovenia, in some cases, there is no option, the bus rides are the only practical way to get to Bled, Bohinj, Julian Alps, most of the coast of Ljubljana.You may have to make a reservation on Friday afternoon, when many students leave Ljubljana for the weekend. In such cases you should book your ticket in advance. With the exception of the new express train between Ljubljana and Maribor CCI, rail travel in Slovenia are the best options for tourists in Slovenia enjoy the beautiful landscapes of Slovenia, one of the most beautiful walks is that he goes by the Soca Valley . Driving a car can be a good way to get to some beautiful and isolated towns and villages in Slovenia, and rental car prices in Slovenia are reasonable. The car rental agencies are located in Slovenia Brnik Airport and in Ljubljana and have the most competitive rates. The toll of the country and gas prices are relatively cheap. Slovenians drive on the right. Citizens of Australia, Canada, Israel, Japan, USA and most European countries do not require visas for stays of up to 90 days and Slovenia. Citizens of other countries can get visas for 90 days in advance at any Slovenian embassy or consulate of Slovenia, or 30 days of visa for Slovenia before your arrival in Slovenia. Keywords for getting there and around in Slovenia. Transportation in Slovenia.Trains in Slovenia. Car rentals in Slovenia. Air tickets in Slovenia. Booking of tickets in Slovenia. How to travel in Slovenia. Buses in Slovenia. Public Buses in Slovenia. Getting to Slovenia. 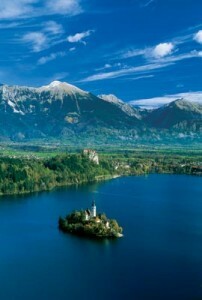 Direct flights to Slovenia.Tickets with special discounts in Slovenia. Slovenia Airlines domestic flights in Slovenia. International tickets to Slovenia. Visa to Slovenia. Information from countries that do not need visa to enter Slovenia. Crossing borders in Slovenia.